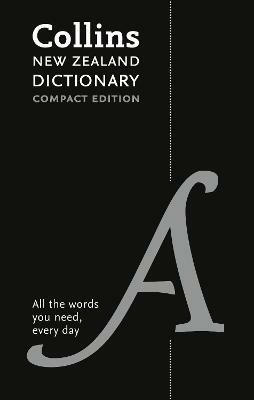 In colour, and packed with fascinating features on language, Collins New Zealand Compact Dictionary is the ideal handy reference for people who love language. With extended word histories, surprising folk etymologies, notes on words borrowed from other languages, and a fantastic supplement, this thoughtfully designed dictionary is large enough to include all the words and definitions you need, but small enough to hold in one hand. With a clear colour design and easy-to-use layout, browsing is easier than ever. All in all the perfect book for crossword solvers, word-game enthusiasts, and anyone with a passion for English.